The new Kia Rio LX brings affordable transportation to drivers in Anaheim, CA, starting at an MSRP of $13,900. On sale in both sedan and hatchback formats, the Rio has been admired by U.S. News & World Report for its “sporty driving dynamics and user-friendly interior.” The new Kia Rio LX can be found near Los Angeles, CA right now at Kia of Cerritos, where you can check out standard features like SiriusXM® satellite radio, a 5-inch touchscreen interface, and seating for up to five passengers. Ready to test drive the new Kia Rio LX? 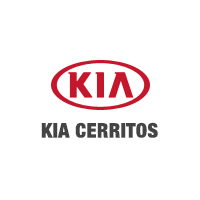 You can find it for sale right now at Kia of Cerritos, your certified Kia dealer near Southgate, CA. You can also finance the Kia Rio LX through our finance center at a low rate. We invite you to take advantage of the offers and incentives we’ve got going on now. Value your trade-in with our online tool, and then come by the dealership to check out our Kia Rio LX selection in person!